Last weekend I took part in a puzzle decathlon, run by Berni of croco-puzzle. That involved 10 rounds modelled on the athletics decathlon, where the running events mapped to puzzle solving (the hurdles were possible broken puzzles), jumping events mapped to puzzle creation, and throwing events mapped to optimization puzzles. A lot of very original ideas, and overall it worked very well. Puzzles and results are available at logic-masters.de. 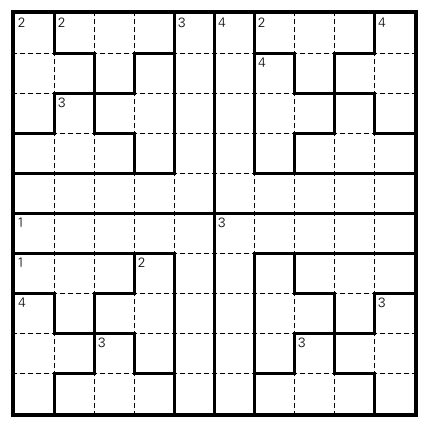 One of the construction rounds, the Pole Vault, gave you three tries at constructing a high-scoring Easy as ABC puzzle: Before each attempt, you chose a grid size, then had 15 minutes to extend a partially clued puzzle of that size to a correct puzzle. 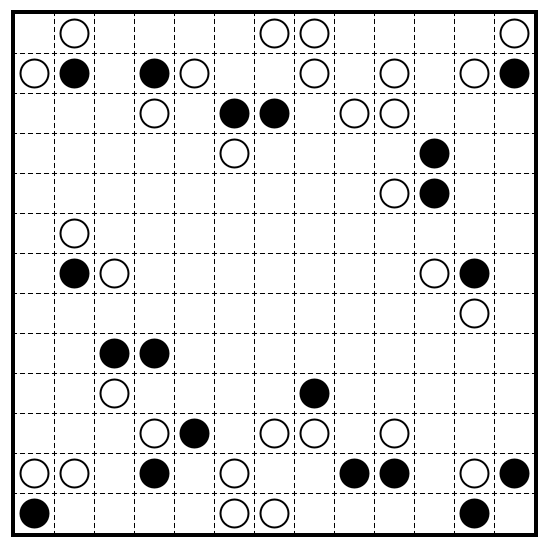 The score was calculated by subtracting twice the number of added outside clues, five times the number of inside clues and once the number of diagonal adjacencies in the solution from ten times the number of rows/columns. I had a rough start there, but ended up with a pretty good third try, with this 8 by 8 puzzle. 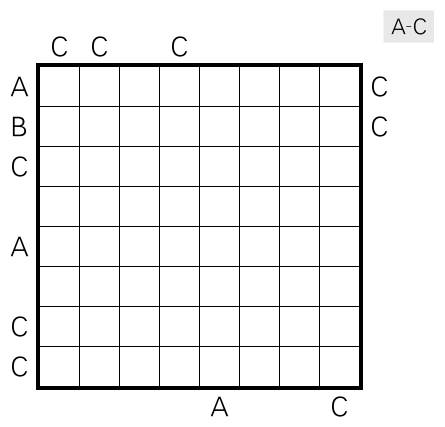 Rules Place letters A-C into the grid so that each letter occurs once in each row and column. 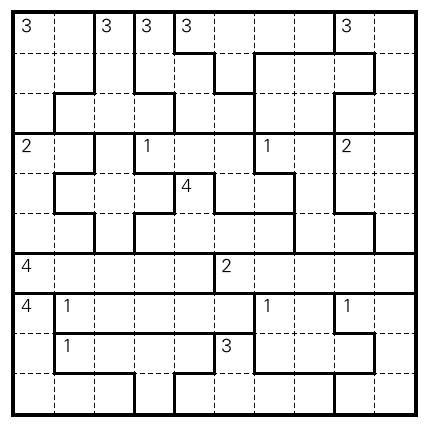 Clues indicate the first letter in the corresponding row or column. This entry was posted in Puzzles and tagged easy as abc, medium on 2016-11-30 by rob.